Congress President Rahul Gandhi Wednesday arrived at Amethi in Uttar Pradesh to kickstart the two-day tour of his parliamentary constituency. Interacting with the crowd, Gandhi said Congress has made Priyanka Gandhi the general secretary of Uttar Pradesh east and now they the will work on the chief minister candidate in the state. ” In Delhi, we have an alliance, in UP Congress will leave no stone unturned,” he added. This is Gandhi’s first visit to his constituency after the party’s stupendous victory in the assembly polls in Rajasthan, Madhya Pradesh, and Chhattisgarh. He was greeted with posters hailing him as the next prime. Posters stating “Amethi Ka MP, 2019 Ka PM”, “Mission 2019 – Vidhan Sabha Tiloi Welcomes soon-to-be Prime Minister Rahul Gandhi”, “Abhi to Jeete Teen Pradesh, 2019 Mein Jeetengey Pura Desh” dotted the skyline of the constituency. 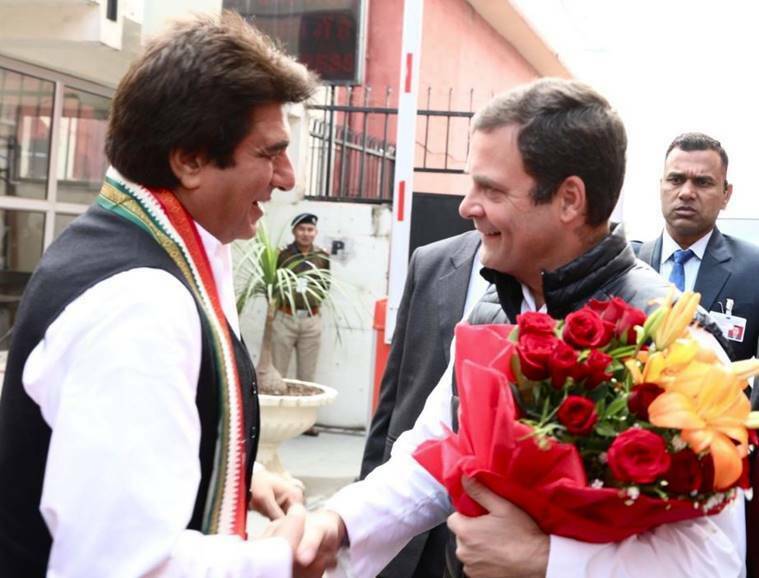 On his way to Amethi, Gandhi first arrived in Lucknow earlier today where he was greeted by Uttar Pradesh Congress president Raj Babbar and visited Rae Bareli. The Congress chief would also be covering for his mother and UPA chairperson Sonia Gandhi, who was scheduled to visit Rai Bareli on Wednesday. However, due to “unavoidable circumstances”, her trip was cancelled. On his second day of the tour, Gandhi would be meeting people from Rae Bareli at Bhuvemau guesthouse. The Congress chief would be addressing a gathering of gram pradhans in Fursatganj, a district in Rae Bareli and later would attend an oath ceremony of the local bar association of lawyers in Gauriganj. Gandhi’s representative Chandrakant Dubey said the party president would also address a ‘nukkad sabha’ at Haliyapur where he will meet party workers on the second day of his visit before leaving for Delhi, PTI quoted as saying. Instead of a special plane to Fursatganj airfield, Gandhi took a regular flight to Chaudhary Charan Singh Airport in Lucknow, said Dubey. This is Gandhi’s first visit after the SP-BSP alliance in Uttar Pradesh. The Congress had declared that it would contest all 80 Lok Sabha seats in the state alone after SP and BSP had excluded it from their alliance. Earlier, Gandhi had planned on visiting Amethi on January 4, however, it was cancelled in view of the Winter session of Parliament. Gandhi will also visit Madhya Pradesh and Chhattisgarh in the near future.